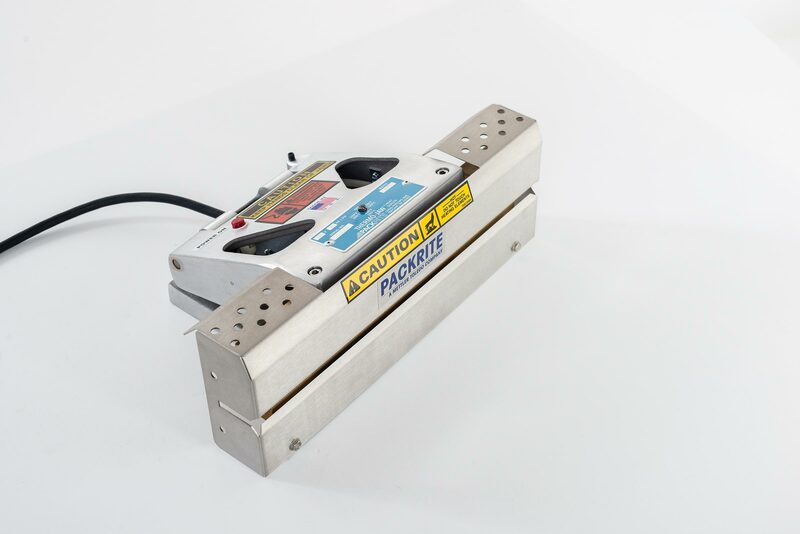 When you need one machine to process both single packages and up to 30 items per minute with the same reliable seal, look no further than PackRite’s Automatic Jaw Sealer. Providing either continuous-feed or intermittent stop/start sealing via foot pedal, this compact unit guarantees uniformity via automatic dwell time and pressure control for safe, consistent, and long-lasting seals. Available in two models. When space is limited, this compact sealer fits the bill. Taking up just 7 in. by 11.5 in. 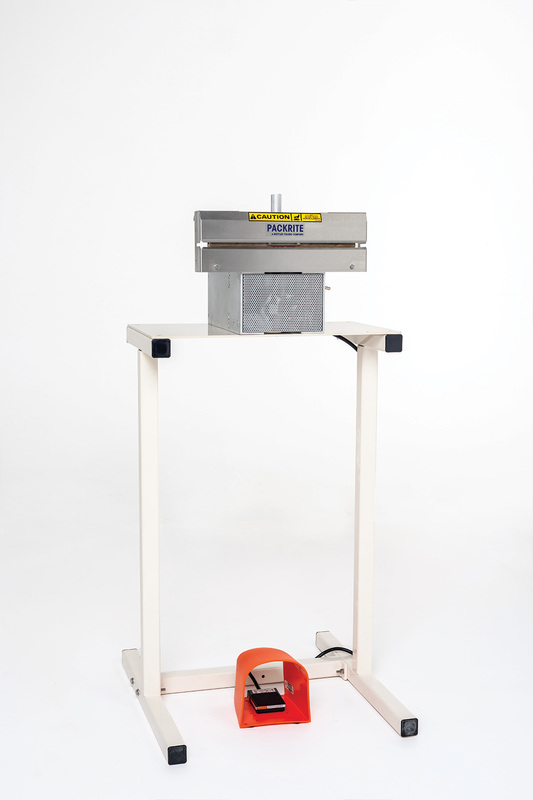 of bench space, the PackRite automatic jaw sealer sits just 10 in. high when open. This small-footprint sealer can also be mounted at a 30-degree incline to take up even less space or to provide a more ergonomic sealing experience for operators. With both foot-pedal and automatic operation as well as dual mounting options, this flexible-use jaw sealer accommodates a variety of unsupported films up to 6 mil in thickness. With optional dwell control, this range can be extended even further while continuing to maintain seal integrity excellence and instant package-release. In whatever operating mode you choose, PackRite’s Automatic Jaw Sealer is simple and easy to use. Requiring little training time, this dependable, robust unit can be up and running immediately after installation to provide fast, efficient, and versatile sealing. Seal Width 1 in. *optional widths quoted on request 0.125 in. ; 0.375 in. Weight 37 lbs. 27 lbs. Fit in to Bench Space 7 x 11.2 in. 7 x 7.25 in. Accessories (Optional) Embossed code dating bars (quoted upon request); universal sealer stand (powder coated metal stand); nonstick coated cover (used with flat seal only. Will give smoother seals on foils and some mil spec materials. Not available with embossed code dating.) Incline mounting base (30 degrees angled toward operator); universal sealer stand (powder coated metal stand).